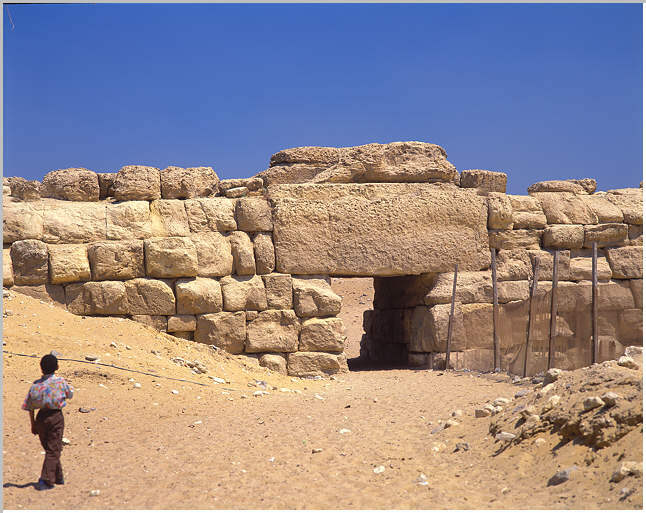 This is a ancient pharaonic wall over 200m long that marks the boundary to the Giza Pyramids (ra-she in ancient times) It is situated south of the of the valley temple of Menkaure not far from the modern muslin cemetery. Part of it seems to be buried under the sand. There is a massive gate that vehicle's can drive through. 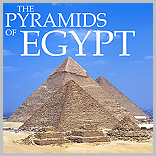 It also leads to the pyramid workers village were Mark Lehner is currently excavating. When I visited this site in May 2002 it was referred to as 'The Mark site' by the workman.